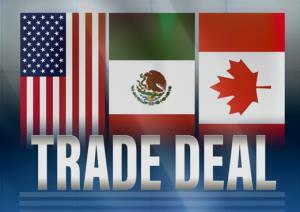 Pass USMCA Coalition, an activist group, has revealed that a large majority of U.S. citizens polled favor adoption of the U.S.-Mexico-Canada Agreement negotiated to replace the North American Free Trade Agreement. The poll conducted at the end of January 2019 found 10 percent of respondents “somewhat opposed” to USMCA with only 4 percent “strongly opposed”. The Coalition is led by Rick Dearborn, a Washington insider who served on the staff of six U.S. Senators and was Deputy Chief of Staff for President G. W. Bush and a past-appointee in the current Administration.